The Denver Nuggets just keep on finding ways to win regardless of whatever circumstances may or may not be standing in their way. 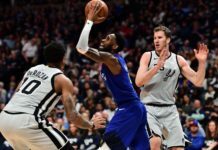 On Friday night, at the Pepsi Center in downtown Denver, the San Antonio Spurs were their most recent victims. As they have all year, Denver found yet another unorthodox way to grab a win; this time over San Antonio. At one point in the fourth quarter, the Nuggets were without the likes of Gary Harris, Will Barton, Paul Millsap, Nikola Jokic, Isaiah Thomas, Malik Beasley, Torrey Craig, Michael Porter Jr., and Jarred Vanderbilt. That is nine players on the Nuggets 17-man roster — including two-way contract players — that were unable to play at the end of the game. Because of the injuries (and foul trouble), Denver was left with a grand total of eight players left on their bench and they badly needed someone to step up. As it has been all year, the player that stepped up was none other than Monte Morris. 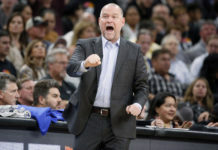 While Malone is right calling the Nuggets finish against the Spurs “crazy,” it is also a disingenuous statement because the Nuggets have continued to find ways to win without some of their best players throughout the majority of the 2018-19 season. This is not the first time that Denver has had to adopt the “next man up” mantra and it will not be the last time either. 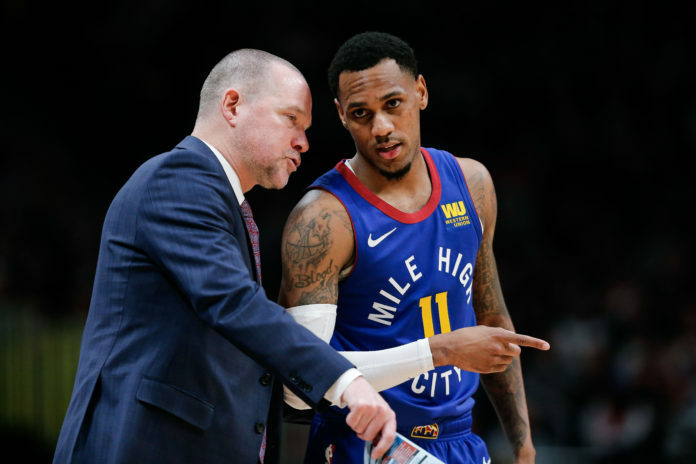 No one on the Nuggets roster has stepped up in the way that Monte Morris has. In the month of December, Morris is averaging 13.5 points, 2.6 rebounds, and 4.2 assists against just 1.1 turnovers per game in 10 total games while playing 26.9 minutes a night. Over that stretch, Morris is shooting 50 percent from the field as well as 50 percent from 3-point distance. In addition to playing extended minutes and producing at a highly-effective level, Morris has also been closing games for the Nuggets in December. Then, against the Spurs, Malone not only elected to close out the game with Morris on the floor, but he actually decided it would be best if Morris had the ball in his hands on the Nuggets last offensive possession of the game when they desperately needed a bucket. Murray, at this point, had already turned his ankle and was laboring up and down the floor. He was clearly not able to move with the same fluidity as usual and because of that, Malone had to find someone else to rely on in the clutch. It seems as if every time the Nuggets need Morris to step up, he delivers. 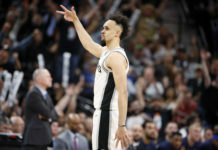 The Nuggets 102-99 win over the Spurs on Friday night was yet another example of that as Morris was able to take control of the Nuggets offense late in the game, get into the paint, and draw a huge shooting foul with seven seconds left in regulation. Then Morris, who had played only 25 minutes in the NBA prior to the 2018-19 season, stepped up to the free throw line and casually drained both free throws to give Denver a three-point lead. Why did Malone trust Morris in such a massive moment in a big game? “He has proven it,” Malone said. “Trust is such a hollow word at times, but we try to live by it. The thing about Monte Morris, for me, is that he has proven to be trustworthy. End of the game, after the free throw they were shooting, I said, ‘Monte. I want you handling in the pick and roll. I want you making the play.’ Because he has shown me time and time again that he is capable of doing so. To have the confidence and the poise to go to the foul line and knock down two huge free throws is tremendous. Now, the Nuggets are the sole owners of the first seed in the Western Conference with a record of 22-11. They have arguably been the most impressive team in the entire NBA and a big reason for Denver’s ascension is the inspired play of Morris as well as the fact that the Nuggets just flat-out refuse to lose games. It may have been unorthodox, but the Nuggets are back to their winning ways once again. “It was not pretty, but I could not be prouder of our guys of how we played,” Malone said.